As I said earlier, I had a bit of a session yesteray so this is my second post for today.. 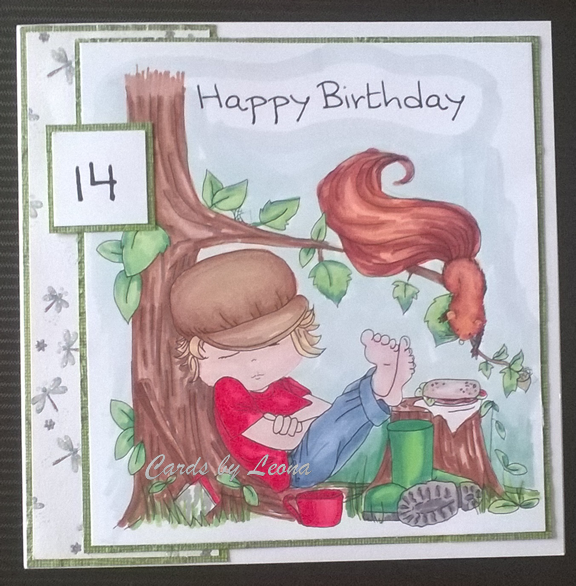 It is a CAS card made with a Mo Manning image called Janny Texting. Th imag is coloured with Promarkers. I chose a font for the sentiment to look like a text font and mounted on a 6×6 card. I am feeling the love with all the super comments left for me over the last week or so. Thank you every one. 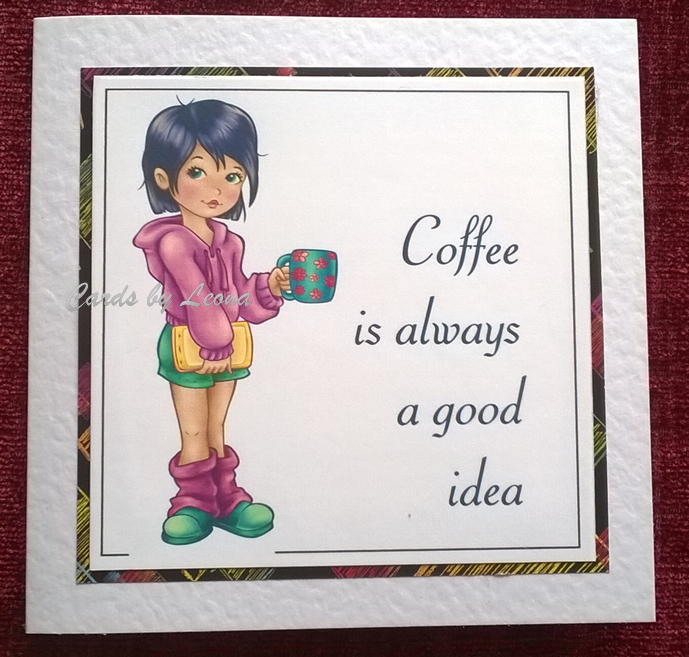 I hade a child free afternoon yesterday so made some cards. This afternoon I’ll be sewing. 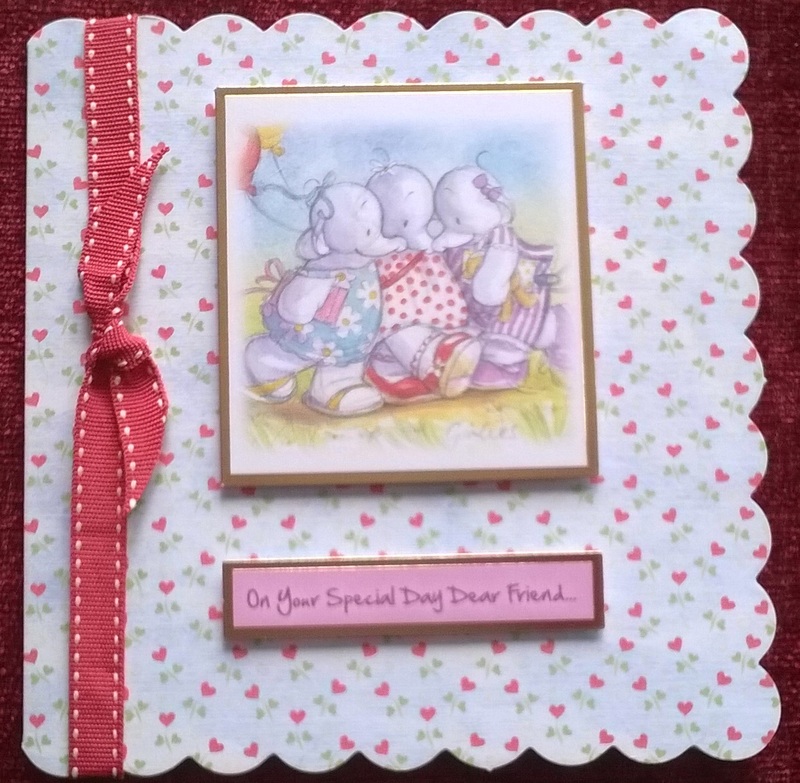 The card i am sharing today is made wih goodies from The Hobby House. The image is pre coloured and I added a few flowers and leaves. 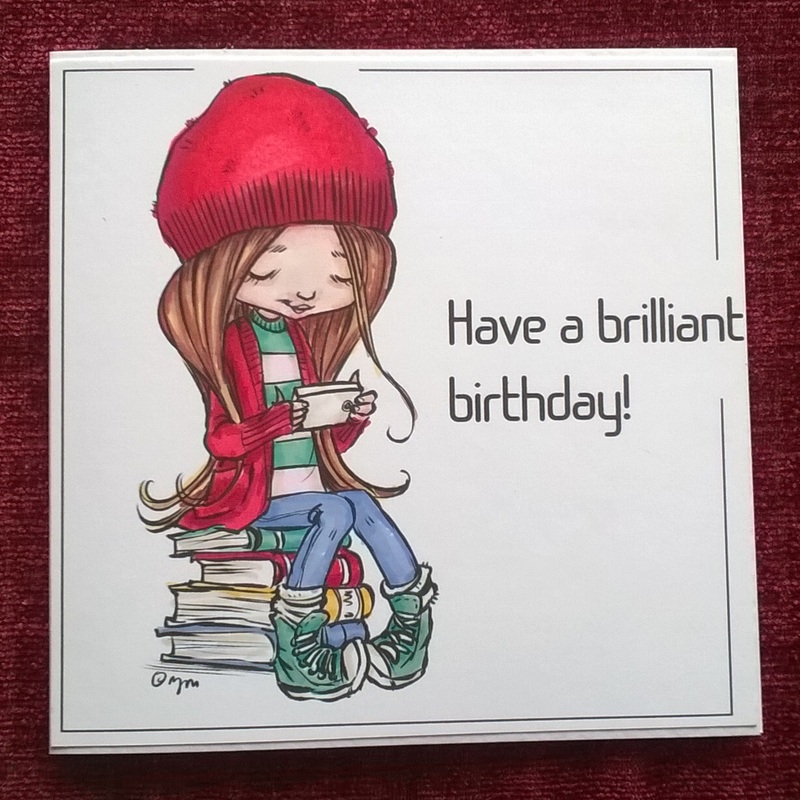 This is a card made for my daughter’s birthday, which will soon b upon us. I have used a digistamp from a Polkadoodles Work and PLay CD and layered it up with some card and die cut shapes from Kanban. 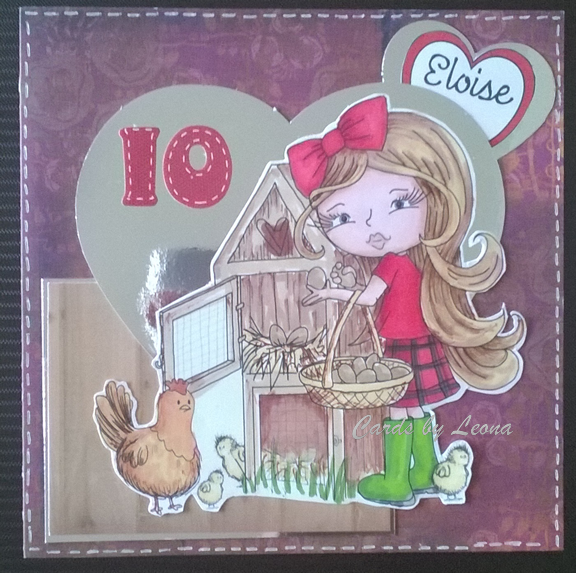 The image reminds me of my daughter collecting our eggs from our hens.The patterned card blank is from Crafter’s Companion’s Faiytopia range and have drawn faux stitching as a border. Wishing a very happy birthday to my clever, hansome, kind firstborn son. 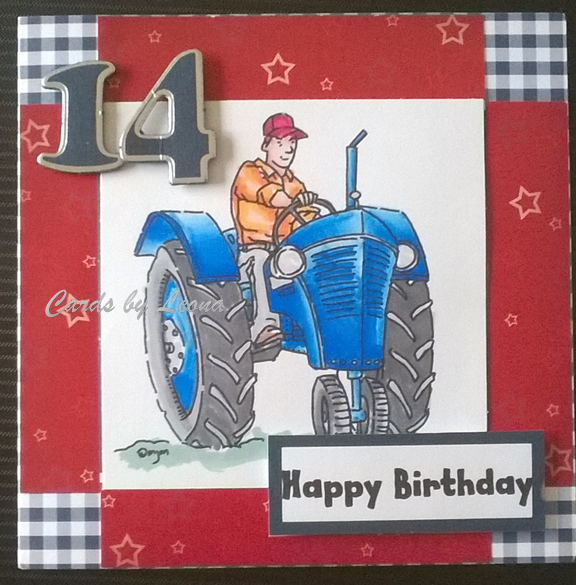 This is one of the cards I have made for him using a Mo Manning digistamp. I have used age numbers from Kanban, a self printed sentiment and 2 leaves from the little book of sentiments for men from Hunkydory. They have been layered at rightangles behind the coloured image and placed onto a gignhambackground.